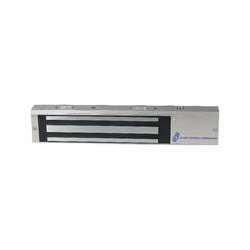 The Alarm Controls 600LB is a single magentic lock with a minimum holding force of 600 lbs. The unit is equipped with an LED, bond sensor and a door status sensor. The lock has a clear anodized aluminum finish.